If you do, you probably are paranoid about its driving range. When you drive you are likely to be thinking about how far can you go before you get stranded, batteries flat, your car in need of a charge. At least I would be like that, counting the miles left on a battery charge and comparing it to a driving distance to the next place I would be able to get a full charge. My Yamaha’s dreadful amber light, that indicates when gasoline level reaches reserve, comes on at 90 miles (the Ducati at 130 miles, the Triumph at 150). As frustrating as it can be to have such a short range on these bikes, at least I know that given the existence of a gas station, in 5 minutes the bike’s tank is full and I’m ready to continue on my journey. With an electric car, that may not be the case. Electric charging stations are rare, and when they are available, it takes a lot longer than 5 minutes to charge the batteries. In fact, it may take more than 8 hours for a full charge. But slowly this scenario is changing, people with electric cars can charge on several locations around towns across America – such as city parking lots, perhaps your office, stores, hotels, etc. You may not necessarily get a full charge, but depending on how long your car is connected to a charging station you may get enough juice to continue on your journey or to turn around and get back home safely. I just found out wineries are offering charging stations. On my way back from Cottage Grove (see previous post), I made a strategic stop at the King Estate Winery. When I parked the bike, looking back to check the valley view, what did I see? Well, the girls were really cute. But what are those parking spots on a prime location of the parking lot? These are electric car charging stations. And here they are free, it appears, and at least for the time being. When I got home I did a quick internet search and found out that several wineries in the Napa Valley and Sonoma Valley in California have installed charging stations so their customers can drive from San Francisco, or whatever is their home in the area, and charge their cars at different wineries as they get on the winery visitation circuit. The Oregon winery region is not too far behind, I’m just learning. 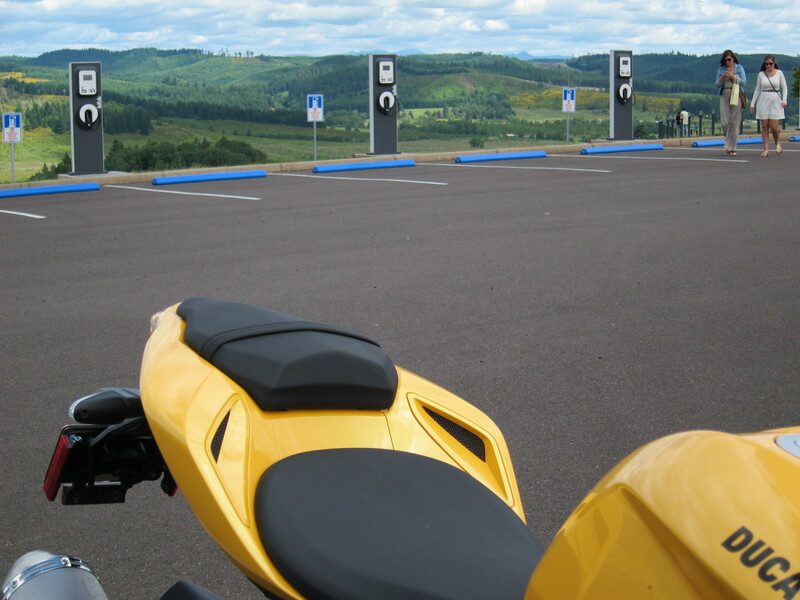 King Estate is less than 20 miles from Eugene, so most electric cars can make it there and back. But having this charging station gives peace of mind for electric car owners. As you know from my several bike review postings, I always liked the King Estate location. 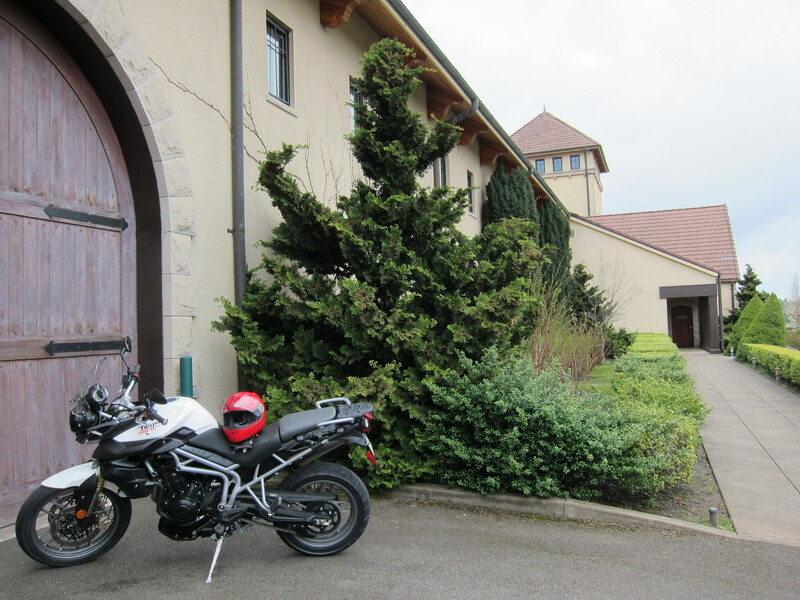 Besides their great Pinot Noir wines, I like to ride the nice roads to get there from Eugene, and also the winery buildings and the valley make for great background for photo sessions. Now there is something else to like about King Estate. I don’t think I will ever have an electric car – I like too much the internal combustion engines – but it is great to know people with electric cars start do have options so they can go on longer trips. Even if these charging stations can be viewed as a marketing strategy, I like it that we are getting there, that businesses are helping make electric vehicles more viable. Furthermore, you should know, King Estate is installing (or have completed the installation) of a large photo-voltaic electric generator (an array of solar panels). They can now, or soon will be able to, produce electrical energy equivalent to what is needed to power 100 homes. 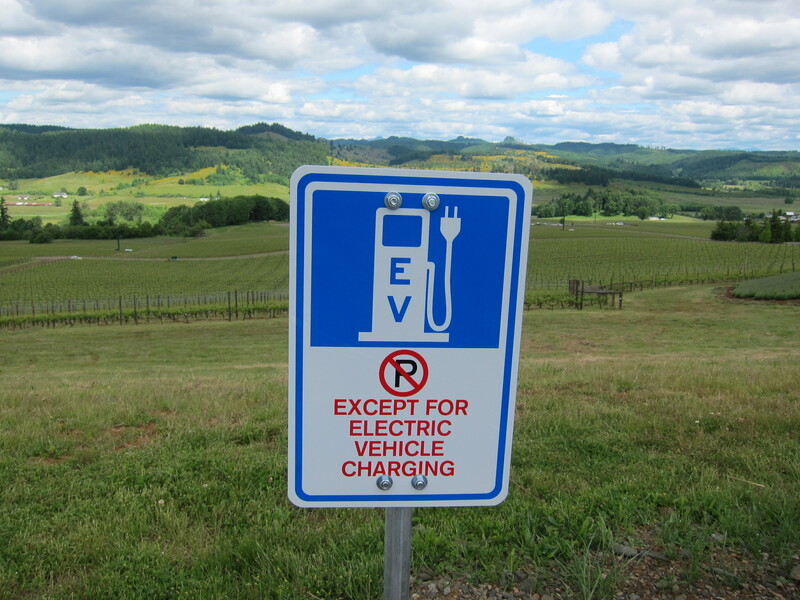 In other words, you are likely to charge your electric car with renewable energy at King Estate. 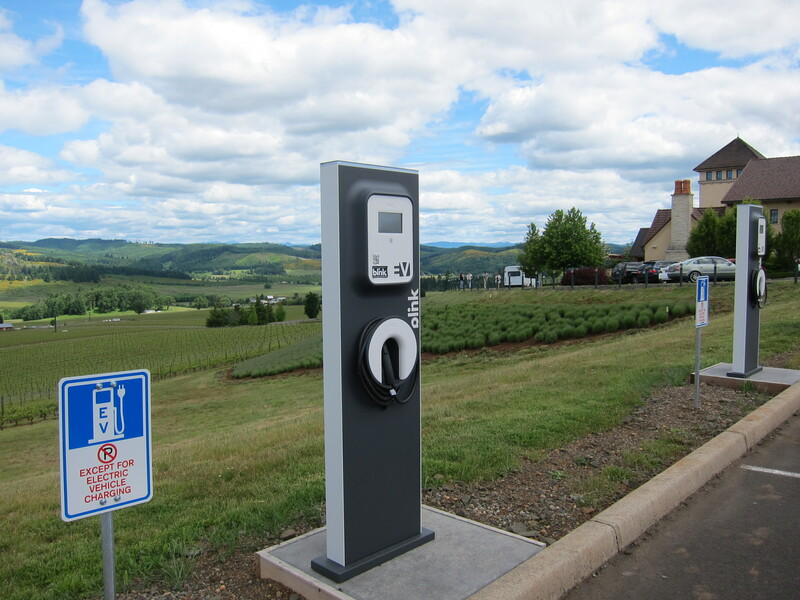 This entry was posted in Random Thoughts and tagged charging station, Ducati, electric cars, electric charging stations, king estate, oregon, winery. Bookmark the permalink. 2 Responses to Do you have an electric car? 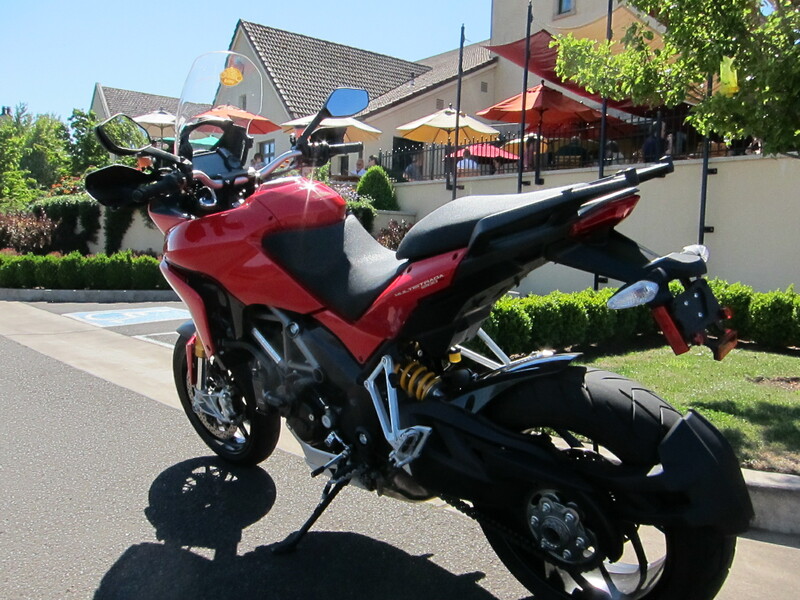 I couldn’t help but notice that all of your bikes are programmed to end up at “King Estate” Winery. The new Zero bike looks interesting, except for the price.